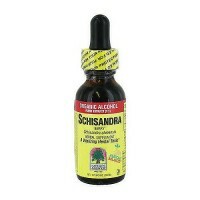 Plays important metabolic role in the formation of collagen and all types of connective tissue in the body. It is the highest quality, most potent, and most effective form of water-soluble, efficiently-absorbed Silica and Silicic Acid available. Silica-Power is standardized with t he greatest concentration of naturally-balanced active principles while retaining and enhancing all the whole-plant synergistic benefits, thus making it one of the world's finest and purest plant extracts. 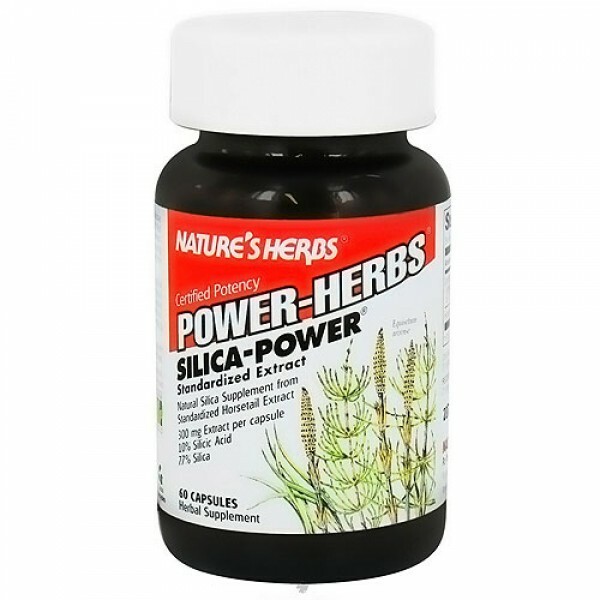 Certified Potency Silica-Power is an all vegetable standardized Silica supplement. Silicon, a vital element of health, occurs in its natural state as Silic Acid or as Silica, and plays an important metabolic role in the formation of collagen and all types of connective tissue in the body. 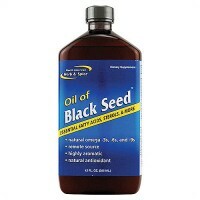 It is found in all tissues and organs of the body including the skin, hair, nail, teeth, bones, tendons, and ligaments. Certified Potency is your guarantee of dependable consistent quality and potency in every capsule ever time! Only form Nature's Herbs. Nature's Herbs exclusive FreshCare System inhibits normal plant oxidation maintaining product potency and extending freshness. it includes all-natural antioxidants in each capsule, oxygen-absorbing packets in each bottle special air-tight seals and amber glass packaging for uncompromised quality. 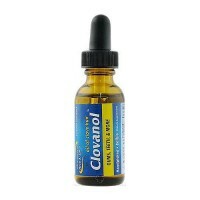 Gelatin, Purfied Water, MCT, Vitamin E and Rosemary Oil as natural FreshCare preservatives. 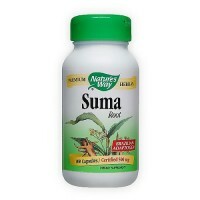 As a dietary supplement, take 1 capsule 2 times daily.